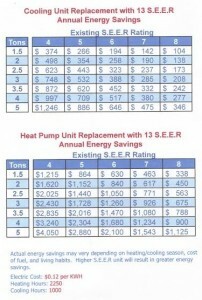 Are you trying to make the decision to replace your AC unit? There are many reasons to replace your air conditioner with a new one, the most common reason is unit failure. There comes a time when it makes more sense to replace rather than repair. 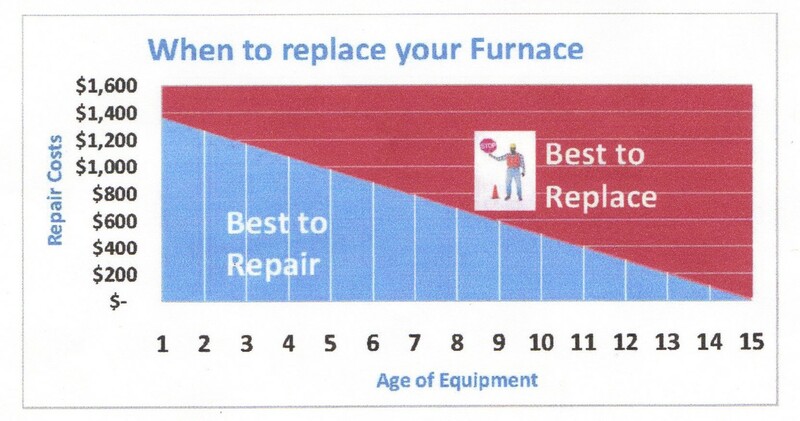 Two things come into play here: how old your unit is vs how much the repair will cost. Also keep in mind your usual warranty is one year parts/labor and with a new unit (depending on brand) is 10 year parts/ 1 year labor warranty not to mention your energy bill savings which can add up quickly depending on the age of your existing system. See the charts for more information to help you make your decision. Click to see table on when to replace your furnace. Click here to see when to replace your ac unit. 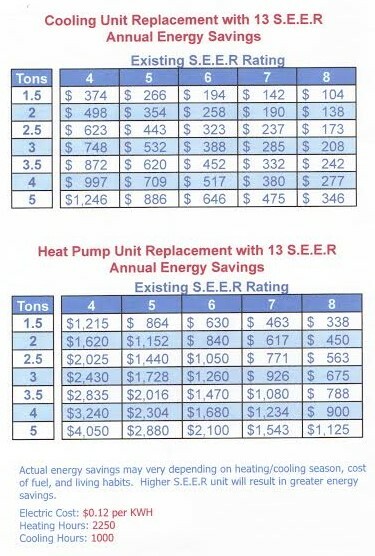 Remember, replacing your heating and cooling equipment may seem expensive but in the long run it is actually often cheaper. It will save you in costly repairs and maintenance and give you peace of mind.